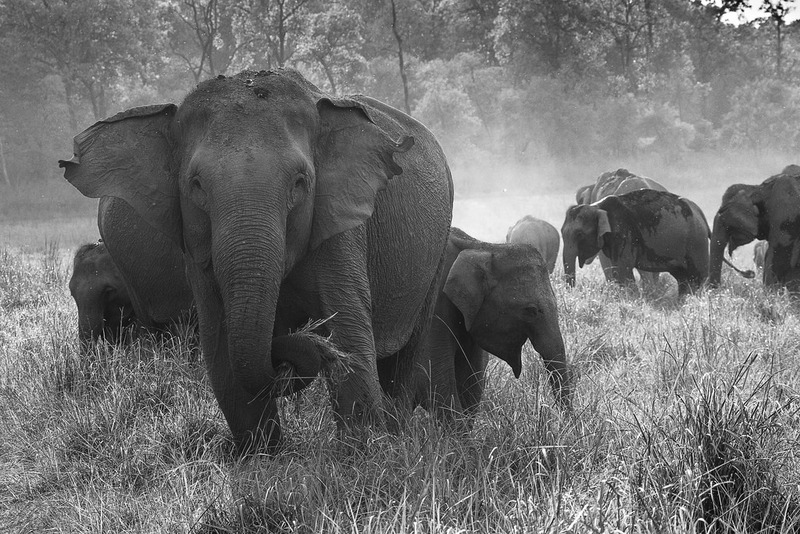 Elephant herd at Dhikala, Jim Corbett National Park. < A most stunning bride..
Love this, Madhu ! – it looks as though this Park is like ours at http://taronga.org.au/taronga-western-plains-zoo – meaning, the animals are not in cages. Oh,how I wish there were no more zoos in the world !!!! Crikey ! – you are an adventurous lot, you are !!!! WOW! This is an amazing shot. Such beautiful creatures and I love how the dust has been captured – kicked up in the background.